44 people and already confirmed dead and the government fears the death toll could rise to as many as 200 people when the rescue efforts resume tomorrow. 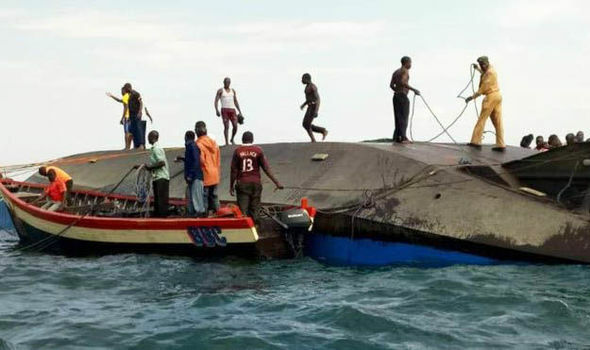 Thirty-seven people were rescued after the ferry sank on Thursday afternoon, Mwanza regional commissioner John Mongella told The Associated Press. The Tanzania Electrical, Mechanical and Electronics Services Agency, in charge of servicing the vessels, urged patience as rescue efforts began. 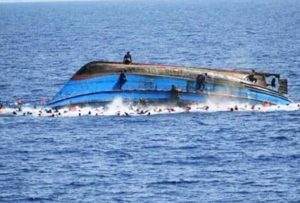 The ferry had been travelling between the islands of Ukara and Bugolora and capsized near the area of Mwanza, the agency said. Ukerewe district commissioner Colonel Lucas Magembe told Reuters the rescue mission to find survivors from Thursday’s disaster has been halted until dawn on Friday. It went down on Thursday afternoon just a few metres from the dock in Ukerewe district, according to national ferry services operator TEMESA. It was hard to establish the precise number of passengers on board since the person dispensing tickets had also drowned, with the machine recording the data lost.